Love yoga and want to go deeper? Our next YTT begins in July 2019. Join us for one month of intensive yoga study, and emerge from the course steeped in the art of teaching yoga! Participants receive 6 months of free unlimited yoga during the extended courses, and one month free directly following the intensive course. Yogi Vishvketu, founder of Akhanda® Yoga has had a huge influence on Prana Yoga Studio’s owners and teachers, from inspiration, to philosophy, to vision. We are an Akhanda Yoga affiliate school, so graduates will have the opportunity to teach Akhanda (holistic) yoga if they choose. For those who would like to deepen their insights into the science of Yoga and Ayurveda, as well as pursue teaching certification, this is the perfect opportunity. Sunday, May 5th | Meet the teachers! Have you ever wondered how much more yoga could change you if you really committed? Magnify everything you love about yoga by diving deep into this ancient, transformational practice in a vibrant & supportive group setting with expert teachers! Whether you want to teach or simply deepen your practice, you are warmly welcome to learn more about our upcoming 200 & 300 hour programs at our free information session. This four week intensive program is a powerful immersion into the traditions of yoga. Clear your schedule and dive deep into new learning about the diverse aspects of yoga including asana, pranayama, meditation, mantra, ayurveda, yoga philosophy and lifestyle. Individual growth and transformation are supported by the group matrix we create together, fostering interconnection, community and the shared love of yoga. All four weeks of training will be held at Prana Yoga Studio in Edmonton. Tuition: $2950 +gst *includes $500 non-refundable deposit. Payment plans available prior to course start date. Early Bird Price: SAVE $200 before May 22! Participants receive 1 month of free yoga classes at Prana directly following the course. Please note our YTT refund policy. This program will be a unique blend of in-town and retreat-style yoga study. There will be 8 weekends held at Prana Yoga Studio in Edmonton followed by a 5 day ashram-style retreat at the beautiful Sanctum Retreat Center in Caroline, AB. It will be an intensive practice of mantra, meditation, asana, pranayama leading up to graduation. Each student will have a private room. Participants receive 6 months of free drop-in yoga classes at Prana during the course. *includes $500 non-refundable deposit. Payment plans available. Denise Currie (Sukranti) has a passion for the wholeness, health, and awakening of the human spirit. Her spiritual longings and her study of the healing arts came together when she discovered the practice of yoga. She recognized that yoga has the potential to help us discover our hidden depths through inquiry and personal investigation, literally breathing life into unexplored and disavowed parts of ourselves. This recognition inspired her to complete her 200 and 500hr trainings with Yogi Vishvketu of Rishikesh, India. She has over 30 years experience teaching group fitness, and has had 10 years experience as a personal trainer. 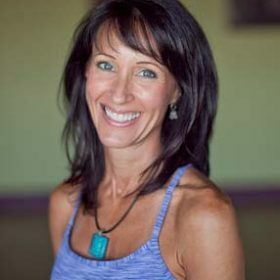 In addition to teaching yoga and anatomy to yoga teacher trainees, she is a registered massage therapist and has been training other massage therapists for the past 6 years. Although I discovered asana practice in 1995, it was not until 2010 that I truly dedicated myself to my practice. In the meantime I plunged heart (and head) first into an exploration of yogic philosophy – though non-dual teachings and satsangs as well as Kundalini Yoga and traditional Vedanta with some excellent teachers in the California and Australia. At age 40 I completed the 200 hr Yoga Teacher Training at Prana Yoga Studio. That month of intense sadhana catapulted me into total yet gentle change on all levels. I watched, from the sidelines, as my body, diet, lifestyle, priorities and relationships shifted. I completed my 500 hr YTT in the fall of 2011 in Rishikesh, India, with Yogi Vishvketu and the World Conscious Yoga Family. I am so grateful for Vishvaji’s example – his humor, softness and integrity. In my practice and in my classes I love to explore variety, spontaneity, rhythm, challenge, grounding, and flow, with a strong emphasis on prana (subtle energy) – spreading it through the body equally, creating a dynamic equilibrium. It’s this beautiful, living equilibrium and the privilege of sharing it with others that keeps me returning to the mat. catapulted me into total yet gentle change on all levels. I watched, from the sidelines, as my body, diet, lifestyle, priorities and relationships shifted. I completed my 500 hr YTT in the fall of 2011 in Rishikesh, India, with Yogi Vishvketu and the World Conscious Yoga Family. I am so grateful for Vishvaji’s example – his humor, softness and integrity. In my practice and in my classes I love to explore variety, spontaneity, rhythm, challenge, grounding, and flow, with a strong emphasis on prana (subtle energy) – spreading it through the body equally, coming into a dynamic equilibrium. It’s this beautiful, living equilibrium that keeps me returning to the mat. Leala’s yoga journey began in 1992 in NYC. Her first yoga class sparked a sense that there was much more to life than what the world had presented to her. Within a year, she had moved to the remote side of Maui where she met David Williams and began a three month intensive study of Ashtanga Vinyasa Yoga. She went on to develop an steady home practice. Living in community on Maui and traveling, she taught whoever wanted to learn, including the Secoya indigenous people in the Amazon tributaries of Ecuador. During this time, Leala began practicing Vipassana meditation, attending numerous 10 day silent retreats. In 2000, Leala attended an Ashtanga Yoga teachers training course with renowned instructor David Swenson and in 2003 completed her 200 hour training through Trinity Yoga. After moving to Alberta’s dry climate, intensive physical yoga practices began leaving her deeply fatigued. Leala began seeking a more holistic approach to yoga, one that would synergize her love of meditation, mindfulness, breath and embodied movement. She had a dream where she met and merged with an Indian sage who fused yoga and meditation into heart centered awakening. A few weeks later she met Yogi Vishvketu and began her journey into Akhanda® Yoga. 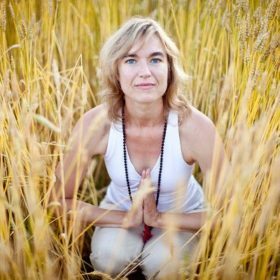 In 2006 Leala founded Prana Yoga Studio in Edmonton, Canada where she hosts workshops and trainings with Yogi Vishvketu every year. Leala is the Director of Training for the Akhanda Yoga Teacher Training program at Prana Yoga Studio. 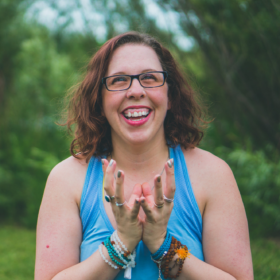 Along with owning a busy urban yoga studio, Leala has raised a family, guided international yoga retreats, and taught numerous YTT programs in both Canada and India. Leala’s passions include practicing yoga outdoors, hiking, swimming and quality time with her husband and their two vivacious daughters. The benefits of yoga are precious and far-reaching. The invitation is to be profoundly open inside while holding vibrant presence for boundriless, limitless growth and evolution. Yogi Vishvketu has studied and practiced Hatha and Raja yoga and the Vedic healing arts in northernIndia since childhood. From the age of 8, he studied Vedic wisdom at Kanvashram in the foothills of the Himalayas. With its historic temple and Ayurvedic clinic, Kanvashram attracts many yogic saints and Ayurvedic masters and was an ideal place to absorb these ancient healing and consciousness-raising traditions. Vishva went on to attain a Bachelor’s degree in Sports and Humanities with a specialization in yoga, as well as an M.A. and Ph.D. in Yoga Philosophy. While at the University of Haridwar, he also pursued courses in Naturopathy, Reike, Pranic Healing, and Yoga Therapy. In 1992 and 1995, he won the All India Inter-University Yoga Championships. He moved to Ottawa in 2001, where he continues to dedicate himself to teaching the arts of yoga and Ayurveda. Internationally, he offers holistic yoga workshops including asana, pranayama, cleansing kriyas, Ayurveda and Vedic chanting. He also offers yoga teacher training programs, and retreats for dedicated practitioners in Canada and in the foothills of the Himalayas. 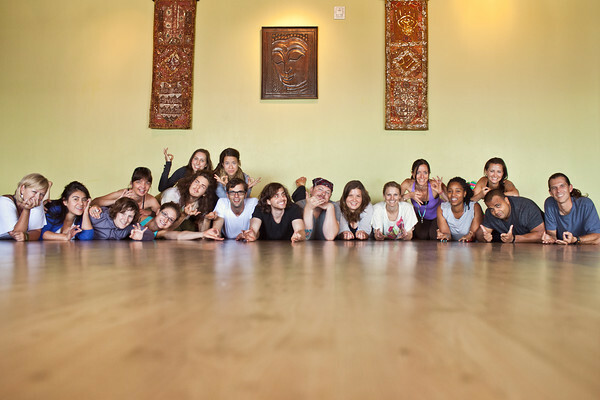 The teacher training programs are recognized by the Yoga Alliance at the 200-hour level. Vishvaji visits Prana Yoga Studio twice yearly for workshops, retreats and to teach our final week of yoga teacher training in Sylvan Lake. Dancing and movement are a part of life on the island of Puerto Rico, where I grew up. As a child I knew the innocence of relaxed breathing. But I really discovered the power of breath when I was 19. After a yoga practice, during Savasana (corpse pose) as I was lying still on the floor, letting the gentle flow of the breath move my body, I felt the edges of my body open up and melt away. I realized my body started to open and surrender. My mind followed and I experienced a new openness that set the pattern to further investigate the real meaning of what was happening. Soon after that experience a series of painful events changed my life and my world as I had known it came to an end. I had a choice to open or close to the pain. Somewhere in my heart I chose to open. I spend the next few years learning all I could about different types of yoga and massage. After finishing a BA in Anthropology I started a long trip to South America and was introduced to Vipassana Meditation. These silent 10 day meditation retreats were an amazing tool that showed me to be still, see and discover the world inside. In the years that followed I continued my studies in massage therapy, I study two years of Anatomy and Physiology in the Medical School of the University of Buenos Aires, I worked assisting classes in a renowned Massage Therapy School and had my private massage therapy practice in Buenos Aires, Argentina. My first Yoga Teacher Training was in the Iyengar tradition, then I started teaching in 2007. I had the opportunity of attending the Yoga Teachers Training with the whole hearted Yogi Vishyketu in 2010 while I was pregnant with my first child. Being pregnant open up a whole new world and I became a passionate student of women, birth, female bodies, babies… Since then I’ve been learning and teaching yoga to pregnant women and moms and babies. My husband and I own an alternative health clinic: Integrated Therapies (integratedtherapies.ca) We helped in the creation of two children: Orel and Pina. Amanda had been practicing yoga off and on since her early 20s, but after back surgery in 2009 restricted her range of motion, she found her way back to yoga full time. When she first started back, touching her toes seemed like an impossibility, but, like many discoveries through yoga, there is no such thing as an impossibility. Yoga is a daily part of Amanda’s life both on and off the mat. Amanda has come to realize that the asana (postures) of the practice only skim the surface of what is available to be learned. Forever a student, Amanda has a thirst to continue learning and is on a lifelong learning journey that encompasses body, mind and soul. 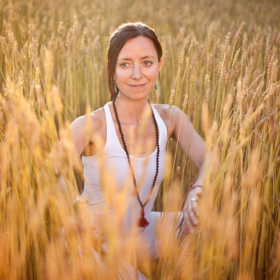 Her passions include mindfulness, loving kindness meditations, yin yoga and healing the physical body. Amanda obtained her 200 hour training at Prana Yoga Studio under the delightful Yogi Vishvketu, and has certifications for both Prenatal (RPYT 85 hour) and Yin Yoga (115 hours). Amanda now has the pleasure of assisting the Prenatal Teacher Training through Om Mama Yoga. Teaching yoga has truly rejuvenated her and she loves being able to share all she has learned with the world.